The Land of Bleak came to me as a personal vision over twenty years ago, shortly after Princess Diana died. All I could see in my heart’s eye were her two little boys, the princes, William and Harry, wandering motherless through a dismal landscape that could only be described as Bleak. I pictured them trudging endlessly through that dreary land, a vast flat, unchanging plain, where the wind blew relentlessly and the sky was always overcast although it never rained. There was no greenery – no vegetation – only the occasional tumbleweed or the stump or gnarled limb of a dead tree. I carried that picture in my mind and heart for years, knowing in the deepest recesses of my being that there was a story there just waiting to be told. It wasn’t until January of 2016 that I was compelled, with a great push of the pen, to begin writing about a motherless girl named Willowmena, making her way painstakingly through an endlessly bleak terrain. Thus the story began, and it wasn’t much of a story, because there was no beginning, middle, or end at that time, and everyone knows that a story needs a beginning, middle, and end. But as I grasped that pen, the words spelled out themselves as painfully as one trudges across the plain of Bleak itself. There was just Willowmena, a brave, intrepid little girl, and the fairy she stumbled upon, the one with a broken wing, named Merloo, for whom she felt an immediate affinity. Who would ever guess then that on the bleak windswept plain they would meet a wounded rhinoceros with a flashing red eye named Gore? Certainly not I, for really, I felt like I was simply wielding the pen, and I didn’t know what would be written from it. But indeed, that is what happened. And so began a journey of sorts, a quest, to find their way through a land which consciously became a reality: the Land of Bleak. Bleak is almost a character in and of itself. In fact, when I first finished the story, I gave it the title The Land of Bleak. But my publishing consultant didn’t like that title at all. She felt it was too dreary, and really, Bleak is a most dreary place, as I’ve already described. Because of the impossible terrain, the rare inhabitant one might come across is unfriendly and eyes never meet. People don’t get into Bleak on a winning streak. The mode of transport is generally a slow trudge, shoulder bent into the wind, and you don’t quite know where you’re going or even if you’re headed in the right direction. Once in the Land of Bleak, it is difficult to find your way out. Have you ever had a day that felt like that? I know I have. So you can see that the friendship between Willowmena, Merloo, and Gore is a rare and wondrous thing in the face of such despair. Willowmena and her friends have more than their fair share of trials and tribulations, indeed, must even face death itself. But lest you think the story is too dark, consider the words of Joseph Campbell, the insightful mythologist who believed, as I do, that stories are everything; they convey the vey complexities of the human psyche. He said, “It is the business of mythology proper, and of the fairy tale, to reveal the specific dangers and techniques of the dark interior way from tragedy to comedy.” Campbell believed that the fairy tale should not be watered down from its original darkness and fearsomeness because children feel, dream, and experience these things. Conflicts, disappointments, and losses are real-world events that our children must learn to cope with, and stories provide models for how to do this. They allow children to face their very real fears and put a face on them, as it were. So in capturing the story we must not be afraid to follow it into its shadowy places. 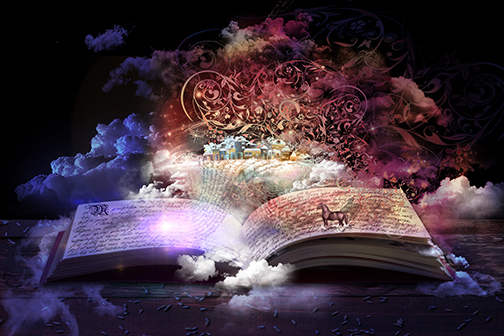 Therefore, it was not in me, in writing Willowmena’s Quest, or as I would rather say, as it wrote itself through me, to shy away from her dark possibilities and happenings. I believe that children can handle it. Provided with guidance, boundaries, and love, our children are wonderfully resilient. However, the book is commercially targeted for the ages of children ten and up because of just such concerns. It might be too scary, too upsetting, for younger children, I was told. Parents would need to use their own judgment in sharing the story with their little ones. 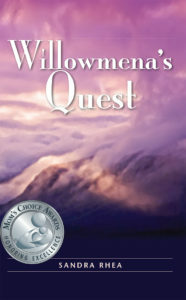 But let me add that since the book has come out, I have had numerous second and third graders read it and tell me about their deep affinity for Willowmena and her friends. So really, there is no targeted age group, as far as I’m concerned. I believe the story will have meaning for all ages and not just for children. It is a story for everyone, for the child that lives within us all, may you find him/her now if you don’t know her/him already! And while I’m not claiming to be Shakespeare, or J. K. Rowling, a good piece of literature will speak to all people, to children of every age, following them into adulthood, because it validates the trials and vicissitudes of human experience at every stage. With Willowmena I seem to have stumbled upon a psychic energy, which the late, great Swiss psychologist, Carl Jung, called an archetype. For me it is the archetype of the Orphan who dwells within us all. The psychologist and writer Robert Romanyshyn addresses this archetype of the Orphan in the most lovely, lyrical way: He writes, and I quote “. . . in the deepest recesses of the heart we are all orphans . . . the orphan in each of us carries our shared, collective sense of human sorrow . . . we are all so far from home . . . 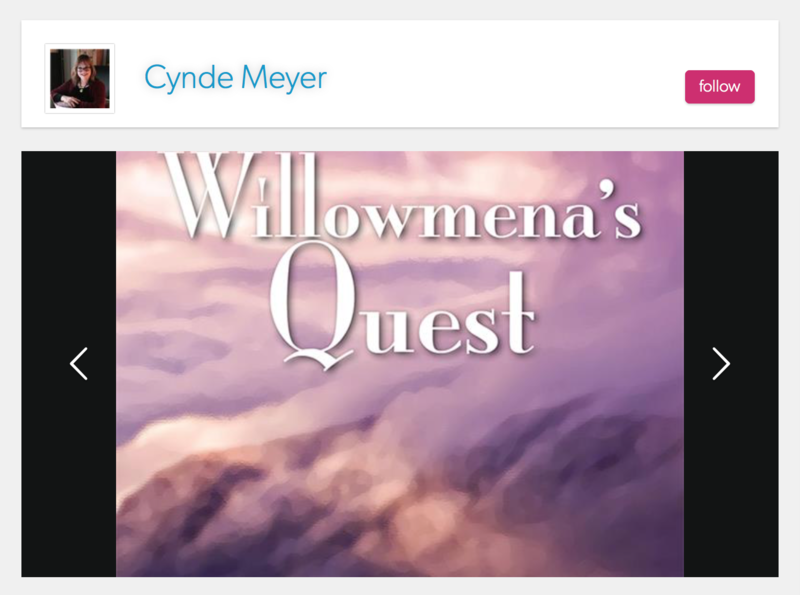 The Orphan is a figure of grace who will meet you in your darkest hour.” My hope is that Willowmena will be just such a figure of grace for all of my readers. My intention that you will find hope and redemption in the spirit and pure heart of a lonely orphan girl making her way through a difficult landscape, and the unusual friendships that sustain her. I believe that such children, with their pure hearts, and with our thoughtful guidance and instruction, can redeem us all.